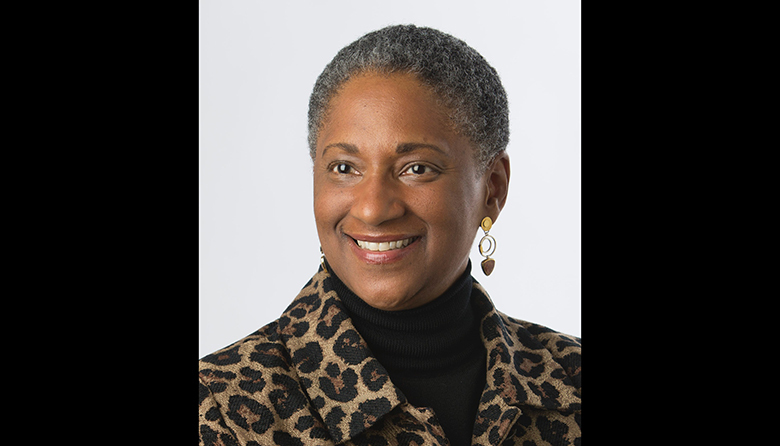 Jessie Woolley-Wilson, DreamBox Learning's CEO, president and chair, is this week's Daring Woman. In May, at our inaugural Daring Women event, Woolley-Wilson took part in a panel discussion on "How We Get There Matters," where she and other panelists discussed the importance of diversity and inclusion in the workplace. Read about her proudest moments, mentors and challenges she’s faced in this week’s installment of our Daring Women Q&A series. One of the highlights of my career is partnering with so many talented and passionate folks at DreamBox Learning who devote their talents, skills and hearts to building an innovative, sustainable and high-impact company. We are helping millions of kids and more than 100,000 teachers love learning and teaching mathematics, respectively. I’m humbled to cultivate confidence and competence in learning in all kids – regardless of who a person is or where they live. It’s an awesome opportunity. When someone thinks “tech CEO,” most imagine someone who looks nothing like me. I’m an African-American female who leads an innovative and successful education technology company that reimagined what engaging, personalized and effective learning could look like. I’ve never been more excited about the future of learning. And yet, when people think of pioneering technology companies, they see me as an anomaly. What they don’t realize is that there are thousands of people like me out there working hard, overcoming adversity and waiting for their moment to soar. For this country to fulfill its promise, we must invite everyone to the table and make sure that they have the tools they need to partake in the feast. There is only one way for America to be America: ensuring that everyone has a slice of the American Dream. I believe that the first step in unlocking our human abilities is to unlock our learning potential. I’m on a mission to accomplish that, and to ensure minorities are represented throughout all levels of education, policy, and business. This requires a top-down, bottom-up approach of mentoring and coaching those working or in college and also ensuring all children, regardless of race, gender or zip code have access to high-quality education, which has been the focus of my work for more than 20 years. My father, who emigrated from Haiti to the U.S., and my mother -- I like to call her the CEO of the Woolley family -- are my greatest inspirations. When my father came to this country as a medical doctor, he was limited in his ability to practice because of pre-Civil Rights customs in segregated America. Despite these obstacles, my parents supported each other, persevered and overcame more challenges than I will probably ever know. My parents placed a high value on personal integrity and accountability, giving back to the community and education. They believed in me, so I believed in me. It just seemed logical and natural. My parents reminded me how fortunate I was to have access to some of the best educational opportunities this country had to offer. They encouraged me to take advantage of them and try to make a happy and purposeful life out of a foundation of family, service and learning. One of my most valued lessons from my parents was learning not to fear courageous conversations, through what I call “benevolent friction.” This is an approach that tries to be hard on ideas (to make them better) while being soft on people. It’s not easy, especially when others don’t understand what you are aiming to accomplish, but it actually works. If you don’t put pressure on the carbon, you never get to the diamond! First, follow your passions -- these are the things you absolutely love doing even when they are really, really hard. I like to ask people about their passions when I interview them. If they don’t share our passion for unlocking learning potential and serving kids and teachers, they will find the work we do at DreamBox too hard and uninspiring. If, however, they share our passion for reimagining learning and supporting educators they will feel fulfilled, especially when things get challenging. Second, think of your life and career in chapters and remember that you are writing a novel over the course of your life. We often believe that our latest success or failure defines us, but each is really only a single chapter in our lives. What defines us is what we learn, whom we serve and how we show up, especially in the face of adversity. Finally, surround yourself, especially early on, with people who believe in you, support your aspirations and are willing to risk your disappointment or anger to tell you the truth. We need truth-tellers to keep us honest with ourselves and humble so that we are motivated to continue to grow, learn, and get better and stronger. If you find yourself surrounded by pessimistic people who cannot help you see past impediments toward possibilities, you should revisit the company you keep. We need to be intentional about gender equity in order to make an impactful and lasting change, especially in technology. Our world is shifting, customer profiles are changing rapidly, and how we innovate and solve problems -- especially important ones like education-- that have material impacts on our society must also change and evolve. Diversity isn’t an option, but an opportunity and a great one at that. When we find ourselves in diverse environments, we have an opportunity to grow and learn in different ways. Our lives are enriched, even if it feels a little uncomfortable at first, but that discomfort is a signal that we are growing, learning and developing new ways of thinking. That’s exciting and that’s the pathway to a sustainable, peaceful and shared future. On a practical note, we need to scrutinize traditional recruiting methodologies to make sure that we’re looking for different people in different places, so we can attract a rich and diverse pool of thinkers, partners and innovators. When our recruitment channels are more diverse we will become proximate to more diversity, which is the pathway to understanding, which leads to empathy. When we are empathetic, we design and build more relevant products and services, which leads to adaptable, relevant and sustainable organizations. And that is the pathway to success. One of my favorite books is Nelson Mandela’s Autobiography: A Long Walk to Freedom. I read it on a flight to South Africa many years ago and it prepared me for the arresting experience of stepping into the prison cell where Mandela spent nearly 30 years of his life. It also helped me appreciate the healing power of reflection and journaling. When we reflect and journal we become more proximate to ourselves. We find pathways to forgive ourselves and others. We also discover new and creative ways to move forward even when we feel stuck. Reading about Mandela’s life, in his words, also helped me envelope a keen appreciation for building a life in chapters. At the end of our days we will have written a novel, but while we are living we are only in one chapter at a time. All of Mandela’s life experiences prepared him to be one of the most significant global leaders in human history. He befriended his enemies, learned to lead from behind (like a shepherd) and learned the power of forgiveness by anchoring his leadership in the recognition that we are all of the human race. Mandela understood that when we diminish one human being we diminish our own humanity. When I feel challenged in life and at work I often think of Mandela’s life and realize that I am not challenged at all by comparison. I might be stuck but I can get unstuck if I take time to reflect, harness collective wisdom, and then take action. I find support and inspiration from each and every one of my colleagues at DreamBox every day. I’m also inspired and supported by relationships with friends and mentors I’ve built over the years. At DreamBox, we harness collective wisdom to accomplish great things. Everyone on my team is better at something (most things!) than I am. As far as networking, I think there is an important difference between community and network. When I look on my social media and see literally thousands of people in my network, I know that not all of them are in my community. Over time, some will join my community and others will not. When I say community, I mean the place where you find others with shared values, shared aspirations and shared determination to make this world better. Sometimes when people set out to build a network what they really mean is a group of people whom they believe they can leverage to forward their goals and ambitions. Community starts with investment. Networks sometimes don’t. Communities are filled with individuals who know more about you than your resume. These are folks who know why you do what you do as much as what you do. That’s an important difference. We have both community and network, but community feeds us and makes us stronger through investment and service. I believe the best way to expand your contacts is through giving – time, advice, resources, a little piece of you, etc. In my experience people remember who helped them and most folks are happy to pay it forward even if it is not directly back to you. My answer to this question has changed through the chapters of my life. Today, I believe a good leader possesses eight qualities. 1. Nimble intelligence that helps them adapt to unexpected circumstances and inspires adaptation, growth and learning in themselves and others. 2. Inner strength to reveal his or her own vulnerability and humanity. 3. The ability to listen to what people say and don’t say. 4. With a community of people who are more accomplished and talented than they are. 5. The ability to be a catalyst for harnessing collective wisdom while leading from behind. 6. The ability to reflect on each chapter as they imagine new possibilities in future ones. 7. The ability to see the spark in others (especially when they don’t see it in themselves). 8. The desire to help others see past impediments toward possibilities. As you’ve probably guessed by now I try not to recriminate. I accept each chapter as a piece of the mosaic that I am. I would not be the person I am today if I had not lived and learned from the life I’ve led. As I reflect, perhaps I wish I could tell my 18-year-old self to be kinder and more patient with herself and to see my life and career in chapters. I like the name of Michelle Obama’s book, Becoming. It suggests that there are important chapters still to be written (and lived)! Since that’s taken, perhaps a second choice would be Learning for Good.